According to top interior designers, 2018 is set to be the year for bold colours. January is the time that everyone is wanting to refresh their home, from accessories to a simple lick of paint. The Pantone 2018 colour of the year is Ultra Violet, which is a massive shift from 2017 which was all about greens and botanical shades. Greens were popular due to their representation of the outside world, tranquillity and calmness, they are perfect for creating a serene and eco style aesthetic. Ultra Violet is bold colour that represents the nighttime sky, the galaxy, exploring and more, something that this years trends definitely represent. 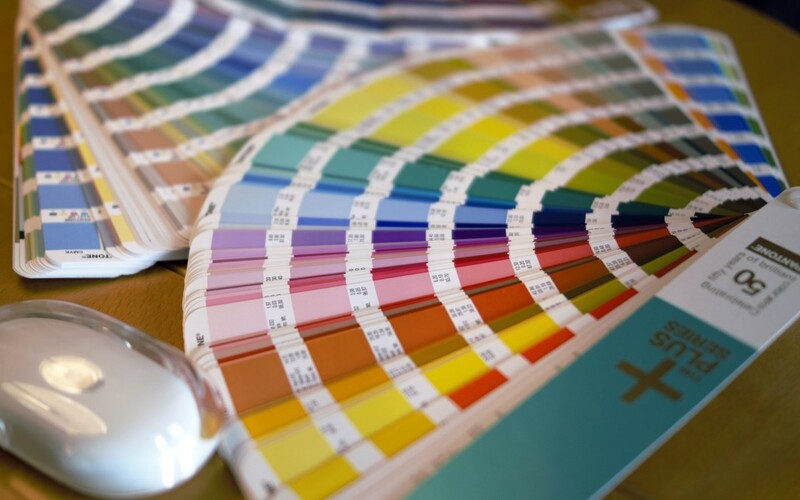 If you’re currently thinking about hiring a decorators in Colwyn Bay, you may be debating which colour paint is best to go for. The 2018 colour trends have now been predicted and we have rounded up the top 3 for the year to give you some inspiration. Stepping out of your neutral comfort zone seems to be what many will be doing this year. Bold, bright and saturated colours will be coming into play with vibrant and playful feels. Think lime green, fuchsia pink, canary yellow and more, adding one of these to a statement wall can really bring life into a room. Think dusty pinks, lilacs, pale blues and more. Soft pastel tones are a great way to add a nostalgic feel to any room, adding subtle hues that bring warmth to any space. Pastel colours are perfect if you don’t want too much colour but want to add a little something to your home, it’s close to our comforting neutrals and easy to make work with existing furniture. Completely opposite to the above, black is set to be one of the statement colours of 2018. Having a black wall can create a dramatic and deep aesthetic in your home, allowing your home accessories to really stand out. With this trend, many love to incorporate gold lamps and ornaments to create a luxury feel.